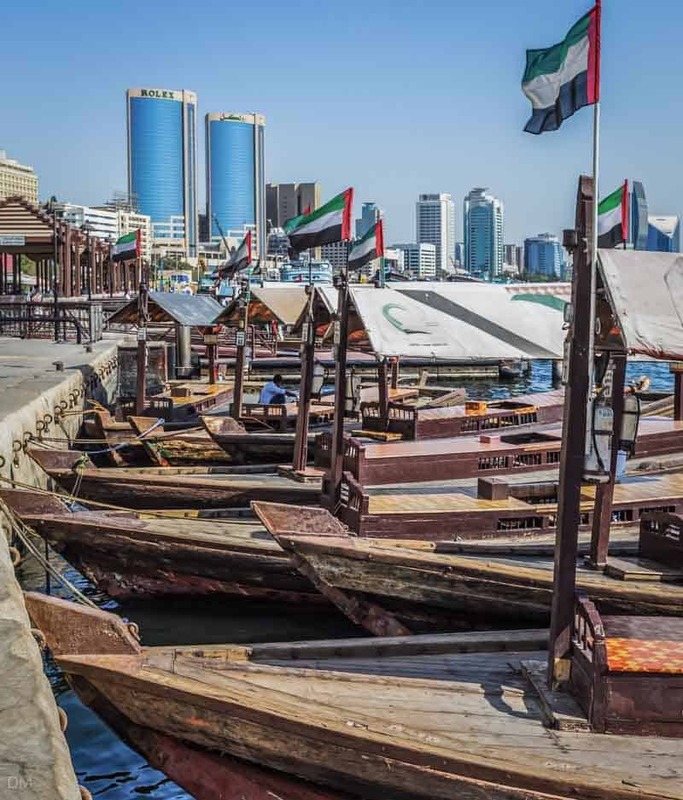 This abra station is situated on Baniyas Road in Deira, on the northern side of the Dubai Creek. 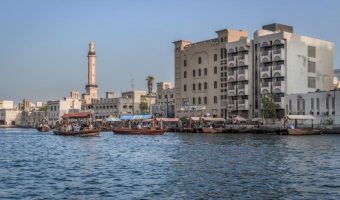 Boats operate on abra Route 2 and leave the dock for Dubai Old Souk Abra Station in Bur Dubai. The ride take about seven minutes and the fare is just one dirham. Abras on the route run 24 hours a day. The closest Metro station to Sabkha Abra Station is Baniyas Square Metro Station, around 300 yards away. The station is on the Green Line. Walking north from the station up Al Sabkha Road will take you into the commercial heart of Deira. It’s packed with supermarkets, small shops, pharmacies, cafes, restaurants, banks, and budget hotels. The Naif Market on Deira Street is a lively souk selling cheap clothes (abayas etc. ), textiles, perfumes, and everything else under the sun. Be prepared to barter. Map showing location of Sabkha Abra Station. 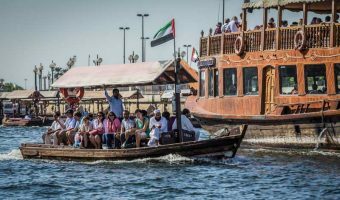 Abras offer the quickest and cheapest way to cross the Dubai Creek. View route maps, fares, and operating times. Abra dock at the city’s famous Old Souk.